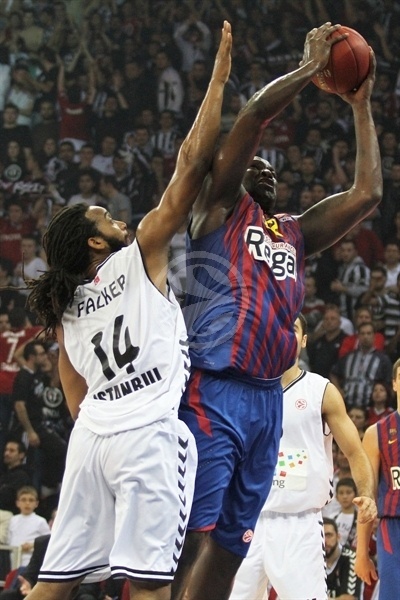 FC Barcelona Regal remained undefeated in the Turkish Airlines Euroleague with a dominating 48-78 victory at Besiktas JK Istanbul in Group D action. Barcelona used a 16-0 run spanning the second and third quarters to pull away and improve to 8-0. Joe Ingles scored a career-high 22 points as the only Barcelona player in double figures while 11 of the 12 players scored. Victor Sada collected 6 points, 7 rebounds and 4 assists for the winners. 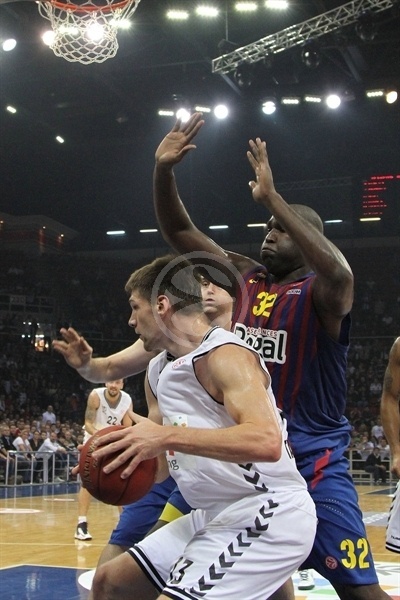 Gasper Vidmar led Besiktas with a career-high 18 points. 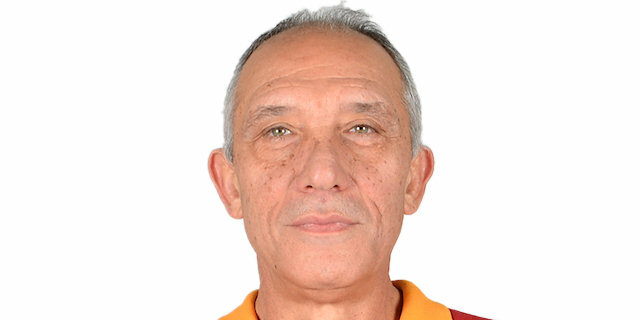 Next best was Fikret Can Akin with 9 points for Besiktas, which dropped to 4-4 in the group. Having already secured a Top 16 spot, Barcelona coach Xavier Pascual made two changes to his starting lineup with Xavier Rabaseda and Ingles coming on for the injured Juan Carlos Navarro and Pete Mickael alongside Marcelinho Huertas, Erazem Lorbek and Ante Tomic. 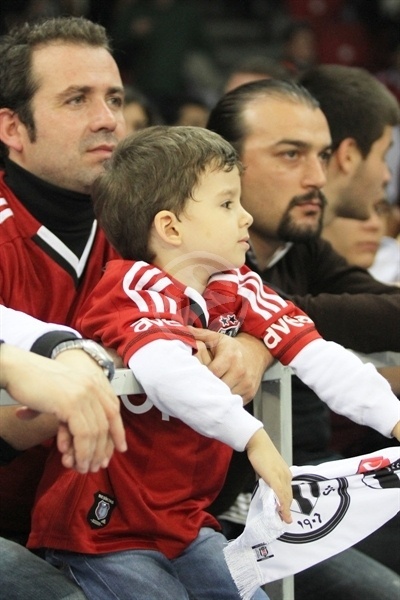 Besiktas’s only switch was Serhat Cetin starting for Muratcan Guler with Vidmar, Damir Markota, Patrick Christopher and Curtis Jerrells the other starters. Christopher threw down an alley-oop from Jerrells, who had swiped the ball from Huertas to start the game. Lorbek answered with a hook shot before Vidmar hit inside for a 4-2 lead. Ingles started his hot night with a three-ball to make it 4-5. After a Vidmar hook shot, Ingles buried back-to-back three-balls from the right side for a 6-11 lead. A TV timeout gave Besiktas coach Erman Kunter a chance to settle down his team. Jerrells came out with a three and three Vidmar free throws brought the hosts within 12-13. The Ingles-Vidmar shoot-out continued with Ingles hitting a long two to move to 11 points and Vidmar dunked for 9 points in the first quarter and a 14-15 scoreline. Sada and Ingles combined for three free throws to give Barcelona a 14-18 lead after one quarter. Sarunas Jasikevicius opened the second period with a three-pointer and his second long ball made it a double-digit lead 14-25. Besiktas could still not convert on offense and at the other end Tomic and Marko Todorovic scored inside to push the advantage to 14-29. Barcelona’s 17-year-old star talent Mario Hezonja made his Turkish Airlines Euroleague debut and scored his first points in increasing the lead to 14-31 and finishing the run of 0-16. 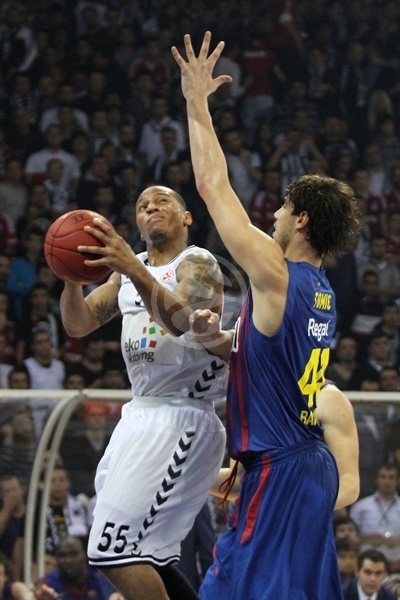 Markota finally snapped the drought and got Besiktas on the scoreboard with 4:43 left in the half. Hezonja scored again before Vidmar twice hit inside. 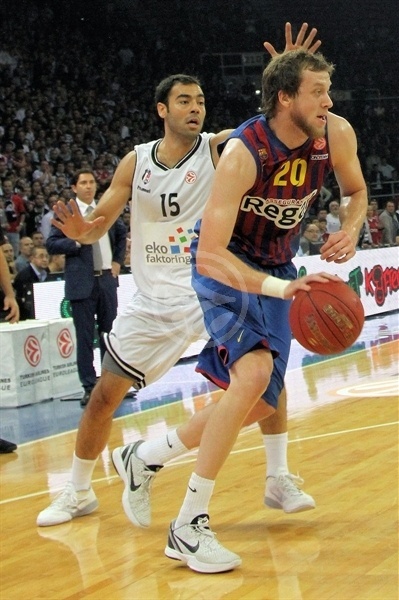 Ingles continued his superb night in moving to 15 points for a 20-37 Barcelona lead. 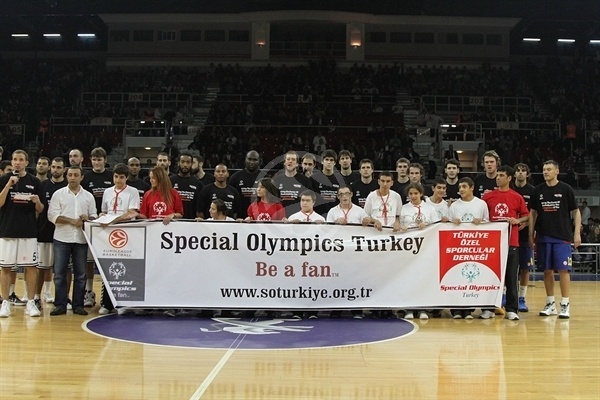 Besiktas scored four straight points on a Akin jumper and an offensive rebound putback by Vidmar, who then missed two free throws – in total six straight in the half – as the hosts could only get to within 24-37. And then C.J. Wallace scored just before the buzzer for a 24-39 Barcelona cushion at the break. Third quarter: Tomic strong inside as Barcelona does not let up. Jerrells opened the second half but Ingles nailed his fourth three-pointer and then got out on the break for a dunk and a 26-44 Barcelona lead. Markota got Besiktas to within 30-46, but the guests just would not let up as Tomic sandwiched a hook and dunk around two Ingles free throws to increase the lead to 30-52. Another Tomic basket increased the cushion to 31-54 before Akin hit a triple, which Sada answered right back at the other end. Huertas knocked down a three-ball as well and Alex Abrines’s long two made it 36-62 for Barcelona. Baris Hersek cut the margin to 38-62 after three quarters. Jawai opened the fourth quarter and Abrines’ three-pointer pushed the lead to 39-67. Akin flicked in a shot and Christopher threw down a dunk to trim the deficit to 43-67. But Huertas sandwiched baskets around a Todorovic score to make it a 30 point game – 43-73. Cetin made a three-pointer for the home side, but Jasikevicius and Hezonja combined for three foul shots to win by 30 points. "We are facing the truth when we play against strong teams like CSKA Moscow and Barcelona Regal in the Turkish Airlines Euroleague. When we play against teams at our level, we don’t suffer. But when you play against Barcelona Regal, you must be very carefully and remain calm and patient. You can win a game by coming back from an 8-point deficit against Brose Baskets, but not against Barcelona." "We are happy to beat Besiktas and remain unbeaten in Group A. We had a complete game both in defense and offense. Besiktas was not in good form in the game and had a very bad shooting percentage. But I have to give the credit to Besiktas fans that they really deserve. They never stop supporting their team even when they were behind by a big differance. They were excellent."